Who’s Afraid of Noah’s Ark? 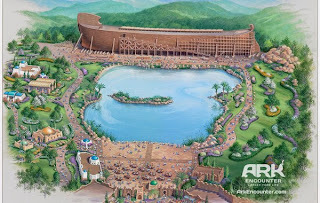 A proposal to build a theme park that would feature a life-size replica of Noah’s Ark has set off a controversy in Kentucky that is worth watching. Within days, the controversy had spread to the pages of The New York Times and USA Today. So, who’s afraid of Noah’s Ark? Lots of folks, it seems, but the editors of the state’s two largest newspapers in particular. The “Ark Encounter” is a major project to be undertaken by a partnership led by Answers in Genesis, the group that built the Creation Museum in northern Kentucky — an attraction that has now recorded over a million visitors by some reports. The attraction, also to be built in Kentucky, is to include live animals and a 100-ft tower of Babel. The partnership has applied for incentives under the Kentucky Tourism Development Act, and Governor Steve Beshear announced plans for the park at a news conference in the Kentucky State Capitol. Then . . . the deluge. The proposed theme park is expected to attract 1.6 million visitors in its first year, bringing a $250 million annual economic impact within five years. The most interesting aspect of this controversy isn’t the proposed theme park, but the panic among the commonwealth’s self-appointed guardians of evolutionary theory. So who’s afraid of Noah’s Ark? Now, we know.